Outboard Fly-Wheels are out. Get 'on-board' with Duzi's Fly-wheel and learn the difference between smooth and smoother. Don't tolerate jerks. Even with the lightest rigs, the Duzi 4 holds a rock-steady jerk-free slide from start to finish. Speaking of awesome, every Duzi 4 comes armed with a Fly-wheel. 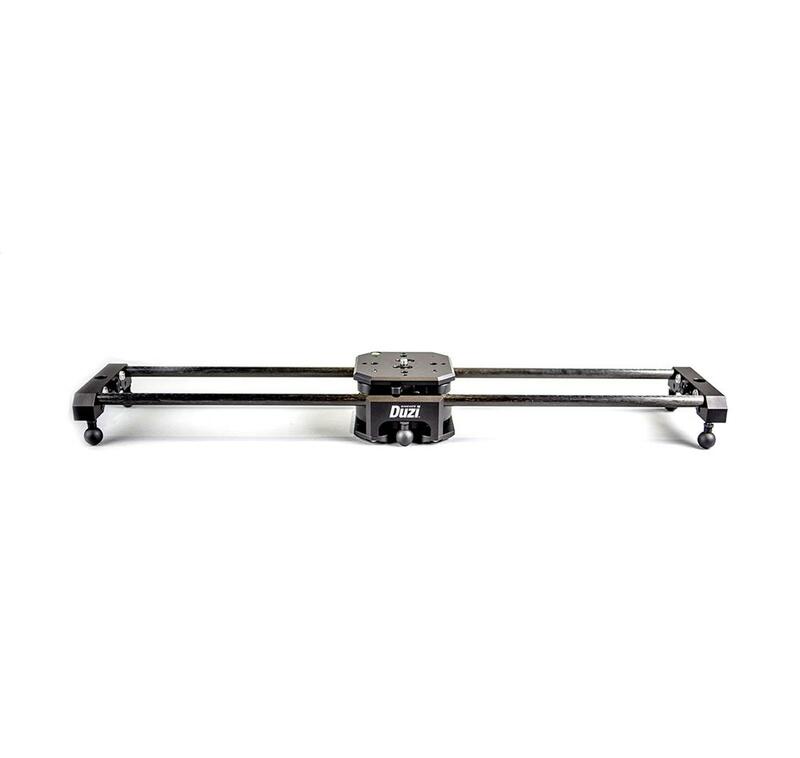 The Duzi 4 stands on a foundation of firm - the 'original', Cinevate All Terrain Legs. From tip-toeing across glass tables to mashing in the mud, the All Terrain Legs take a stand. Duzi's solid carbon rails haven't set the standard in precision sliders, they've exceeded it. How did we do it? By sweating the small stuff. How small? We're talking 0.001" small. Why bother? Because it would bother us if we didn't. Facts: Duzi is lightweight and strong. Duzi does what other sliders can't. It moves mountains of gear while delivering flawless footage. Note that when center mounted on a tripod, the max capacity of Duzi will depend on the weight rating of your tripod.